Drawing upon a lifetime of love for kittens and many years of clinical experience, our veterinary staff would love to help ensure that you are well informed about your kitten's needs. There are many phases of a kitten's life and it is important to understand how your cat's needs will change as they grow. We have compiled some essential kitten care information for you here. Remember that proper kitten care also requires an examination from cat friendly veterinarian, kitten vaccinations, deworming and other forms of care that support development throughout the various phases of kittenhood. All kittens need a regular deworming program which includes medication to kill most intestinal parasites. In addition, we will want to check your kitten's stool for more uncommon but potentially serious parasites. In addition to intestinal parasites/worms, cats can contract heartworms. If cats develop heartworm disease, there is no treatment. 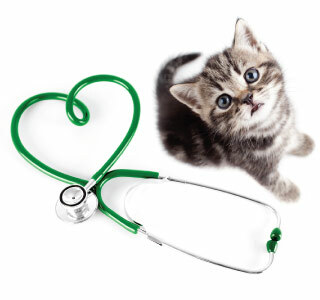 Therefore we recommend heartworm prevention for all cat patients. Of all threats to your kitten, one of the most common and annoying parasitic dangers is fleas. A discussion about your cat's lifestyle and proper flea and tick control is an indispensable component of kitten care. We do not recommend over-the-counter sprays, powders and collars. They are less effective and more toxic to your kitten. At your next appointment we would be happy to discuss an effective flea/tick and overall parasite prevention program. Schedule A Kitten Care Appointment With Eastside Animal Medical Center Today! At Eastside Animal Medical Center kitten care is one of our greatest joys. Our veterinary staff would be delighted to spend some time with you and your kitten ensuring that your relationship will be a healthy, happy and rewarding one for many years to come. Schedule your first kitten care appointment today!